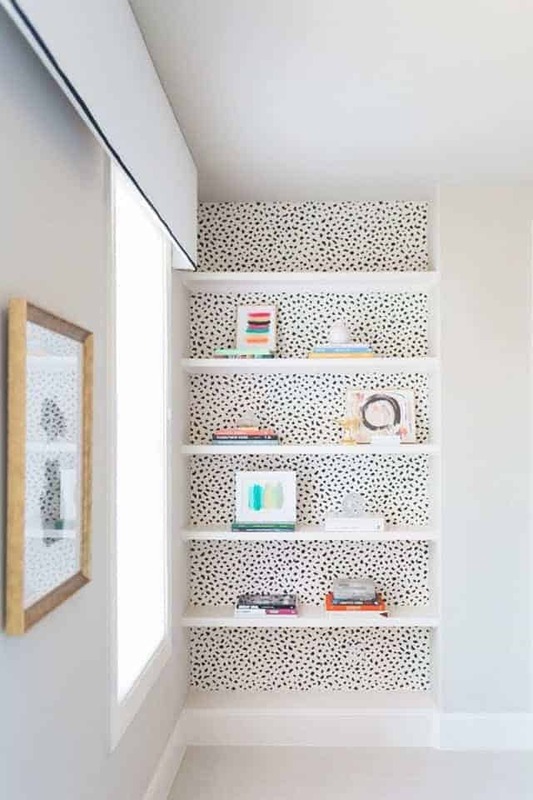 One design element that I’ve never added to a room, ever, is wallpaper. I’ve lived in plenty of homes that had old wallpaper on the walls. You know the kind…the hard to remove, funky colors kind. It was never my style and I always wanted it gone as soon as we moved in. Well, it seems that my negative opinions about wallpaper have been changing lately. I’m finding myself drawn to so many of the gorgeous wallpaper photos on Pinterest and it has me thinking about adding it in our cottage. I don’t want to do a whole room in it, but I am thinking about adding it to a smaller space. Specifically, our new bedroom closet that we just built. Like I said, there’s tons of ideas out there so I gathered a few favorites I’ve come across to share with you. Some are closets and some not, but all are pretty. I always worried that if I used it in a whole room, I would quickly tire of it. Hanging it in a closet might just be the perfect way to introduce it into the cottage. 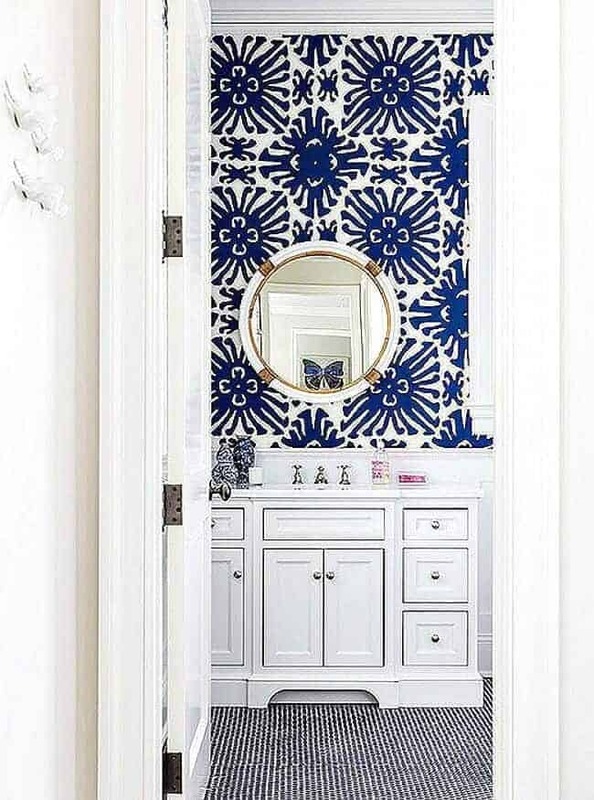 It’ll be an unexpected addition and a pretty pop of pattern when you open the closet. The more I think about it, the more I want to do it. Now I just need to not let the old wallpaper phobias creep in and decide on the perfect one for the closet. I’m actually thinking that I might go bold. Stay tuned! What are your thoughts on wallpaper? Would you try it in your own home? Hope you have a great weekend, my friends! 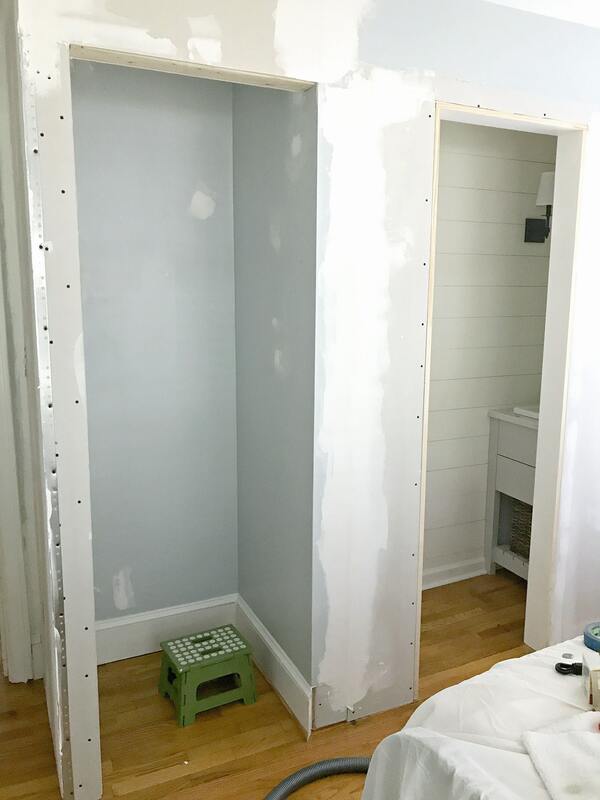 If you prep your walls with a primer or sealer BEFORE hanging the wallpaper, it will come off much more easily if you decide to remove it later. You are so right, prep is everything. Thanks for the tip! I’ve been eyeing wallpaper for the powder room, but after removing wallpaper years ago I’m not sure I want to add it back and the mister who knows how to hang it says no way! Ha, I know what you mean Kim. My husband is the same but I’ll probably tackle this myself so he can’t complain too much. 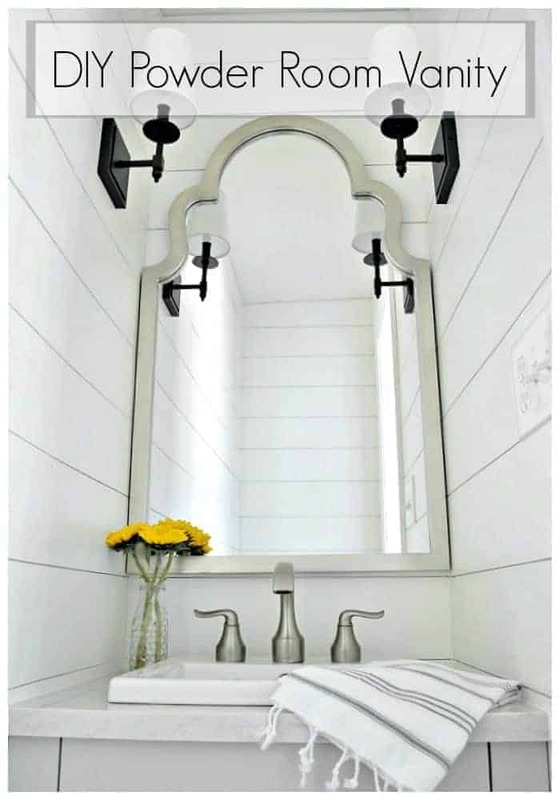 Your bathroom is coming along and your tile wall will look awesome! Can’t wait to see it all done. Just a P.s. 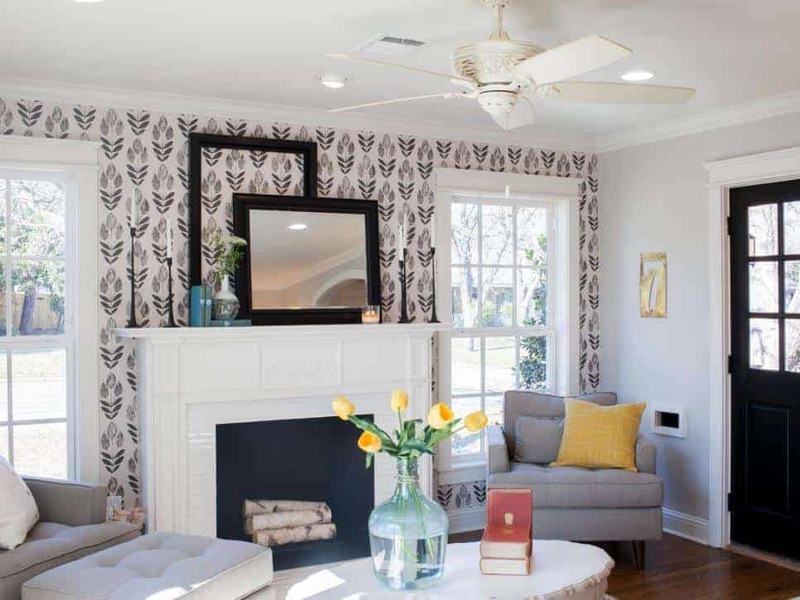 love the bold contemporary patterns you are looking at. 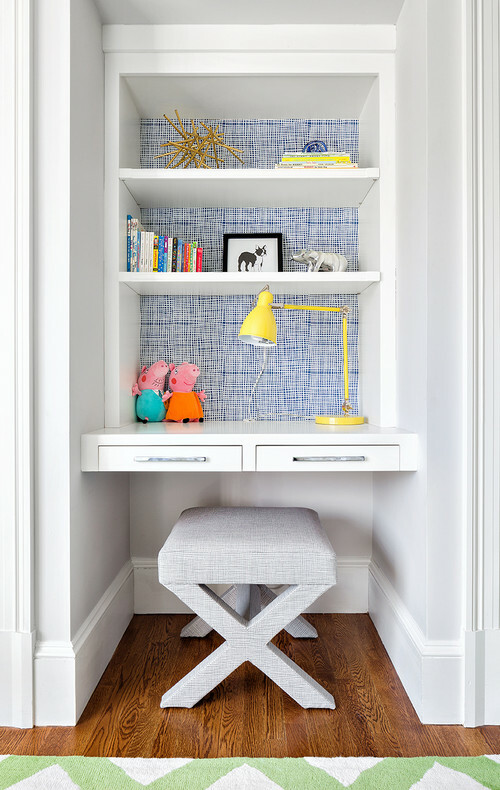 A little closet would be cool as a design statement. Yes i have had it , i had it in my bedroom and the entry but not anymore, i think i may stencil next time. I do like the closet idea, thanks. Stencil is a great idea too Marlene, and there are so many available now. 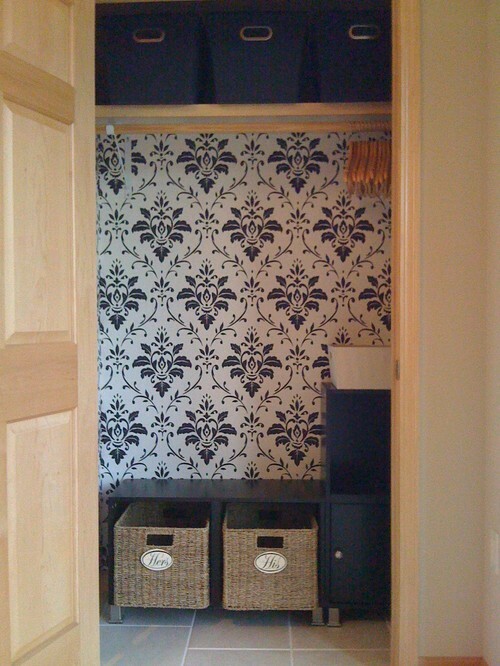 The closet is the perfect place for wallpaper. You can get your decor fix without a huge commitment. Love it! Wow, Pat, you sound like the wallpaper queen. I think that I’ve moved into so many houses with paper that wasn’t my taste, that it’s totally turned me off. I think, for us, just putting it in the closet is a good place to start. I have no desire to do a whole room with it so this is a good way to introduce it without having to look at it every day. I think it’s a wonderful idea, and I’m sure you have the patience and skill to do it. I’ve been thinking about a stencil in the closet; something colorful. Then white walls and cream furniture. Then I could draw out the colors in the stenciling in decorating the rest of the room. I love wallpaper. I haven’t used it in years, but am also thinking about it again. i think hanging it in your closet is a GREAT idea. In the mid 80s we were having a house built and I wanted to put wallpaper in every room. My husband managed to talk me out of it. LOL Today I wouldn’t put it anywhere except on the back of book shelves as you showed. I have always liked that look. I think I would get totally bored with it one the walls, even one wall. Years ago on HGTV I saw them put wallpaper on boards that fit into the back of a china cabinet. By putting it on the boards they could remove it, change it and replace the board without ruining the cabinet. I always thought I would do that on a shelf. I don’t think I would waste my time on the closet. Ha, I bet you’re glad that your husband talked you out of it. 😉 I remember seeing the wallpaper on the china cabinet boards too. Great idea and so easy to change up. I’m ok trying it in a closet but I won’t put it anywhere else. We’ll see how it goes. 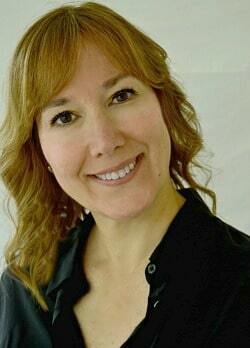 Hope you have a great week Debbie!